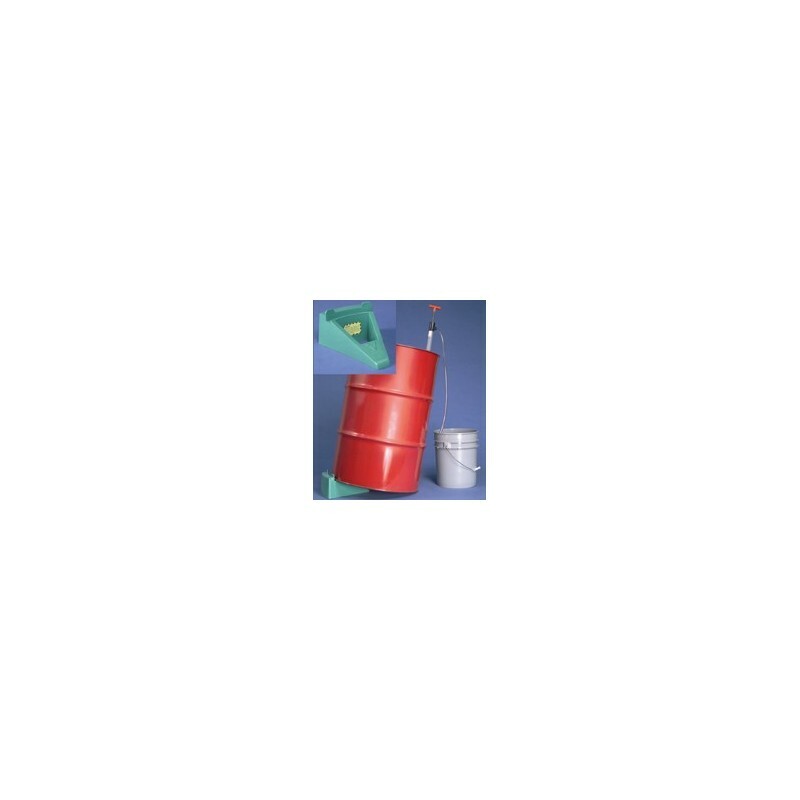 When your drum pump stops pumping, there could still be a gallon of product left in the drum! 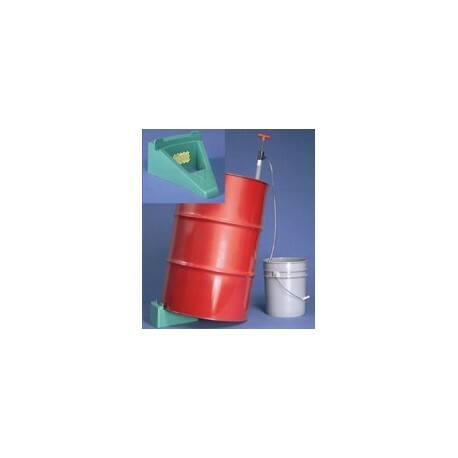 ENVIROWEDGE™ fits under the edge of your 30 and 55 gallon drums so that liquid flows to one side where the drum pump can pump it out. Made of 100% recycled polyethylene. 12"L x 10"W x 5"H. Weights 3 lbs.